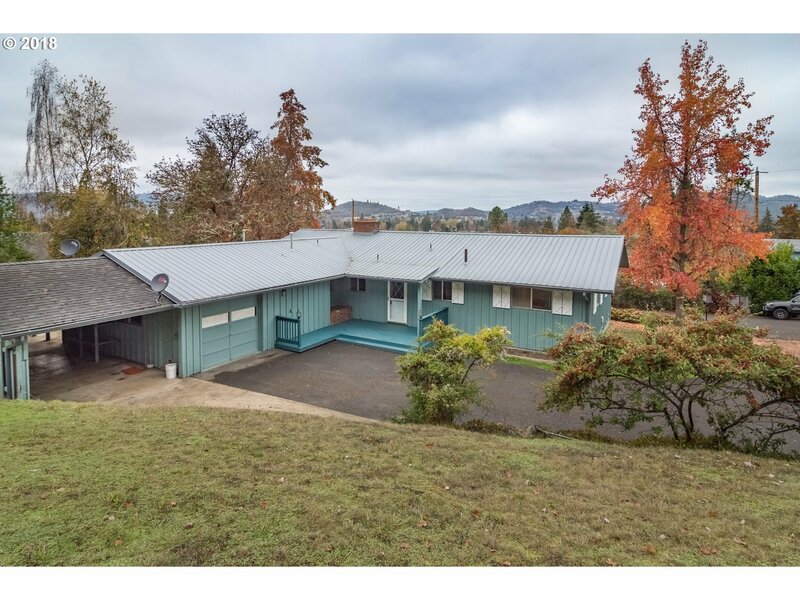 Charming one level home in west Roseburg with original hardwoods throughout, large view windows & two beautiful fireplaces. Enjoy privacy & panoramic views from the back patio and expansive fenced back yard. Floors have been completely refinished. Freshly painted. Newer metal roof. Private drive, oversized garage and covered carport for all your toys.